Calling all kids! Cover to Cover Adventure is a book group for kids 8-12 years of age led by Hana of Village Books. We meet every second Tuesday of the month from 4-5pm in the Readings Gallery. When we get together, we examine and explore the story we have read through discussions, crafts, activities, and games. Don't miss out on the fun! Reading encourages thinking and imagination, and the goal of Cover to Cover Adventure is to provide kids the opportunity to completely immerse themselves in the world of a book. This group takes a break during the summer holiday. The last meeting of the school year will take place in June, and we will pick back up again in September. Questions? Shoot an email to Hana at hana@villagebooks.com. Inspired by Hans Christian Andersen's "The Snow Queen," Breadcrumbs is a stunningly original fairy tale of modern-day America, a dazzling ode to the power of fantasy, and a heartbreaking meditation on how growing up is as much a choice as it is something that happens to us. As you might imagine, the staff at Wild Rumpus talks a lot about books. We share with each other what we're reading, likes and dislikes, which books might be good for reluctant readers, or for those who devour everything. This summer, there is no question which book is the Wild Rumpus favorite: The Real Boy by Anne Ursu. The two tattered staff copies have been passed around like hot potatos. People have had to swear that they would finish within a week so as to get it to the next person, then find that they finish in a day or two because they can't put it down. We've heard accusations that certain employees were hiding a copy so as to keep it...but the truth will out. The point is, we love this book. We're sure you will, too. From the elegant writing to the well-drawn characters, to the bit of magic and unexpected turns that fit so perfectly into what is ultimately a beautiful story and fable, we can't say enough good things about The Real Boy. Anne Ursu already topped our list of favorite authors (and that's not just because her name starts with an 'A'), so we'll have to add a star or something. We can't wait to see her and have her sign our books on Sunday, October 6 at 2PM. We'll probably have to buy a few more copies, though. Anne Ursu reads from The Immortal Fire. 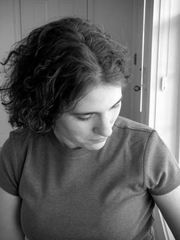 Anne Ursu is currently considered a "single author." If one or more works are by a distinct, homonymous authors, go ahead and split the author. Anne Ursu is composed of 4 names. You can examine and separate out names.